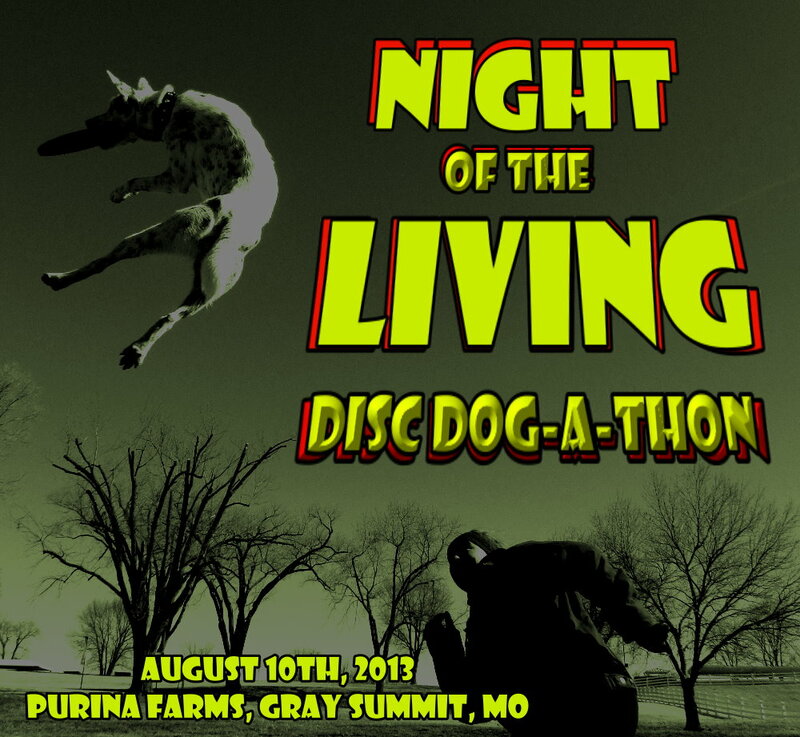 Night of the "Living Disc Dogathon Recap"! Our under the lights disc dogathon was a huge success. What a great night! Purina Farms was hopping all day with dock diving, flyball, agility, and a disc dogathon that went into the wee hours of the morning with the last throw and catch being made at 2:45 am. We had an outstanding turnout from our favorite sister club, the KC disc dogs and our neighbors to the east, the Derby City disc dogs. We also an absolute overwhelming number of novice competitors throw their hat in the ring for the first time. We would like to give a special, warm welcome to the St. Louis Disc Dogs newest members Jay Veltman and Gibson, Kelsey Tipton and Loli, Kelly and Chris Luckett with Eisly, and Dennis & Jessica Hunt with Charcoal and Cinnamon. Thank you to purina farms for allowing us to host such a wonderful event. Special thanks to John Casey for providing the MC entertainment and keeping everybody awake and engaged throughout the night. One word to describe the event, 'Epic" Lots of great individual performance with 5 world qualifiers being handed out, as far as I the first ever cookout being held while the competition was going on, and just the greatest out pouring of friendship and camaraderie you will find in the sport anywhere. Thank you everyone that participated and made this night so eventful. It will be a tall order, but we will now start planning to try and figure out how to make next year even bigger and better!!! As always, for complete results go to http://discdogevents.com!!!!! Come join us under the lights at Purina Farms main show field for a competition like no other. An all night disc dogathon. For all the event details follow the link. Feel free to ask any questions or request more information.